March 4, 5 and 6 could not have been more beautiful days for 2016 Irish Festival! GALT was in the usual spot located in the Centennial Building within the Cultural area at Dallas’ Fair Park. The Festival drew record crowds, and GALT volunteers were out in force to spread the word about the joys of greyhounds as companion pets. 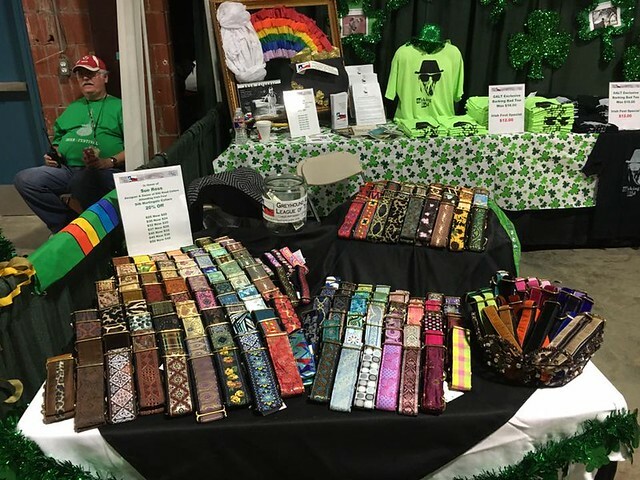 Sue Ross of Silk Road Collars was at GALT's booth to help sell collars in GALT’s inventory. What a treat to have her for this busy, busy weekend! Many, many thanks to all the volunteers who helped set up/tear down and greet the public with their greyhounds! You guys ROCK! GALT’s theme for 2017 will be a big surprise and will be a very educational for all attending, so mark your calendars now for the first weekend in March 2017!